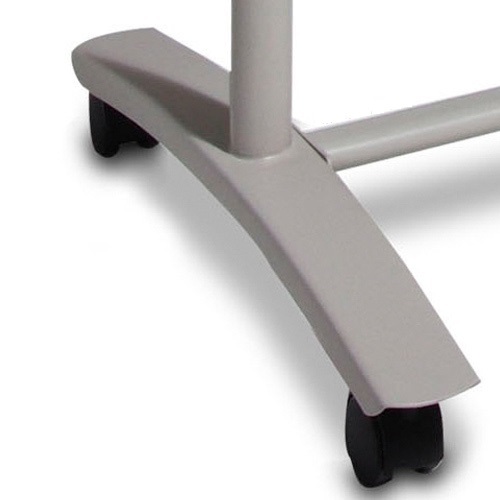 Stylish, European lightweight yet strong design with clean satin silver aluminium frame with unique 'anti sway' centrepiece. 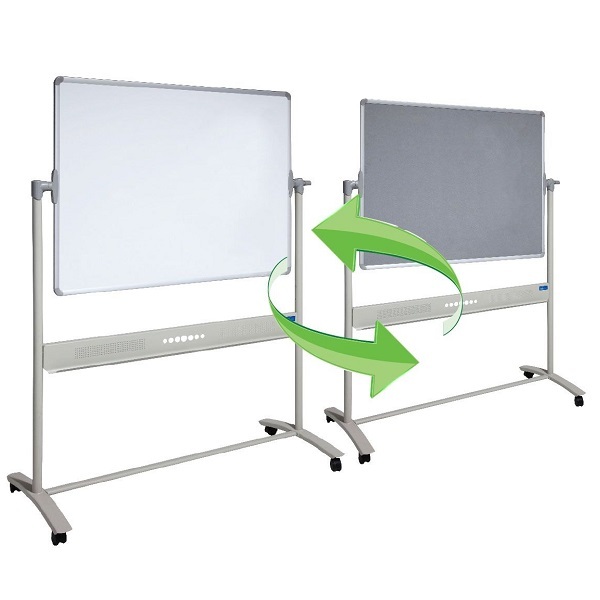 Revolving board can be locked in any position and easily loosened to rotate. 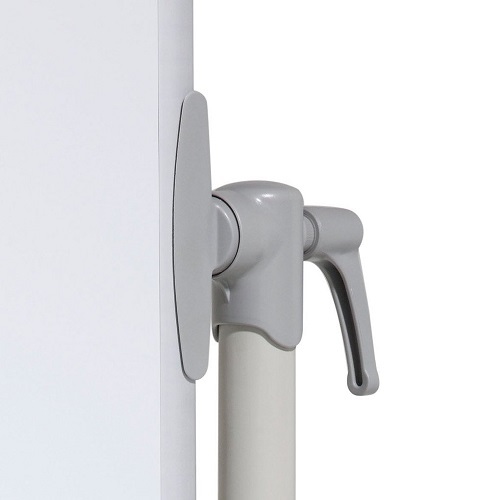 No tools required for assembly - parts simply push-fit together. 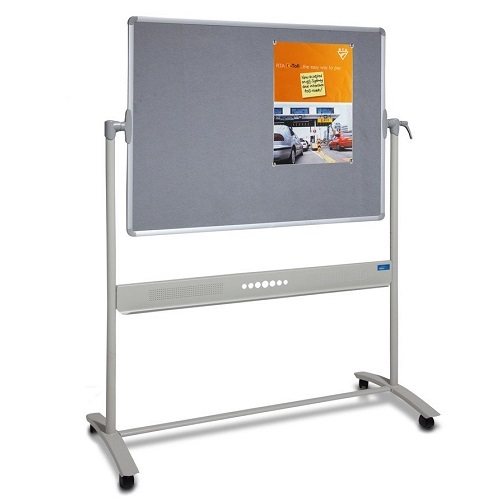 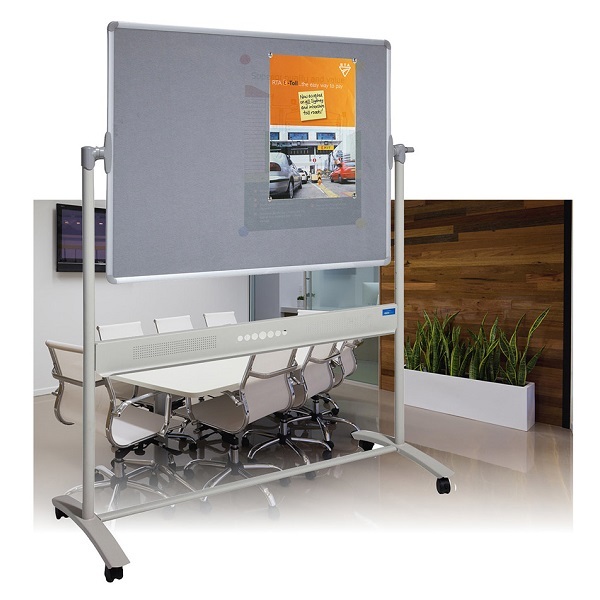 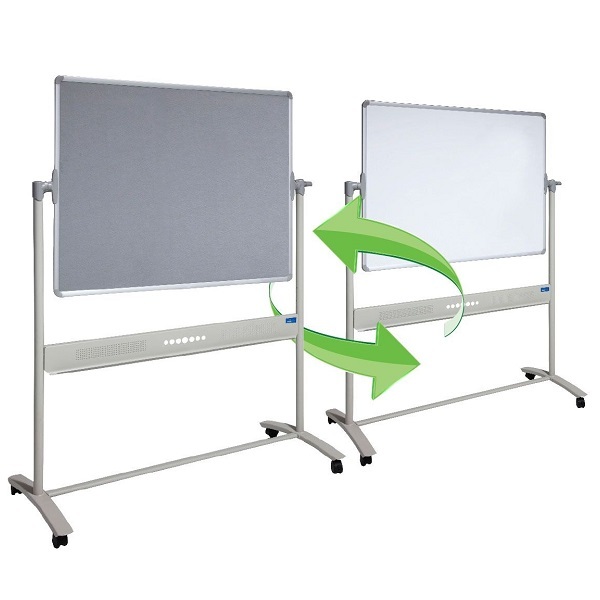 Versatile and practical – ideal solution for primary schools, early education, anywhere you need to hang posters and use a whiteboard.